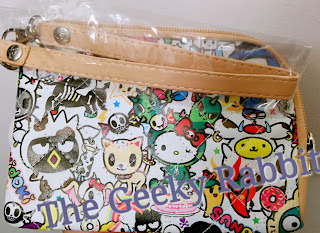 Some stores have started to roll out the Tokidoki x Sanrio Character collection, and I was thrilled to be able to pick some of the items up! Here's a short peek at some of the stuff that I got. The collection is extremely limited, and some of the merchandise are already sold out. 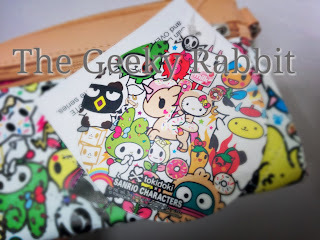 The Sanrio I went to was out of the iPhone 5 cases when I was there! 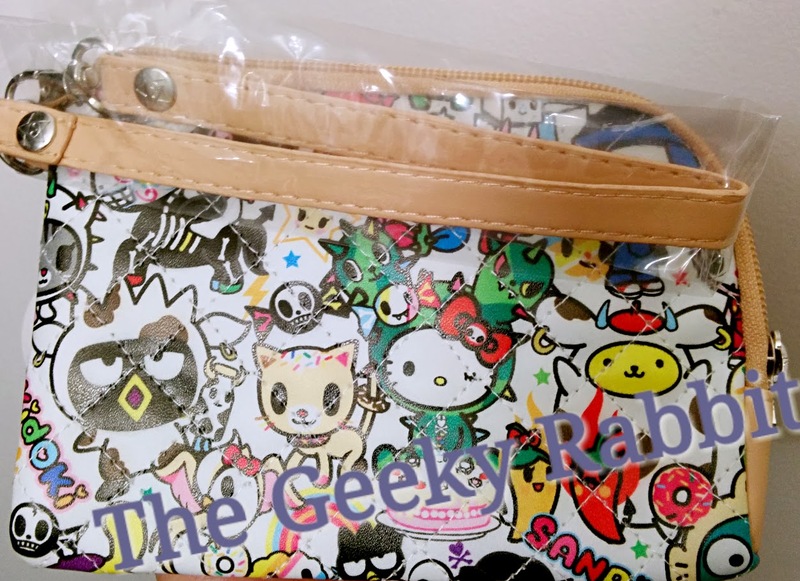 I got myself a wristlet, and the design that appears on it will vary for every single one depending on where the fabric is cut. Just something on the bag. There were 5-6 different sizes, but only the larger bags came with the bag charm. I am still considering getting a larger bag! The small wristlet and shoulder bag does not come with the bag charm. Just a heads up in case you are looking for the bag charm in particular! Moreover, the tag for the bags is actually a sticker. How cool is that! I really love the concept. I do collect my tokidoki product tags so this is a bonus. 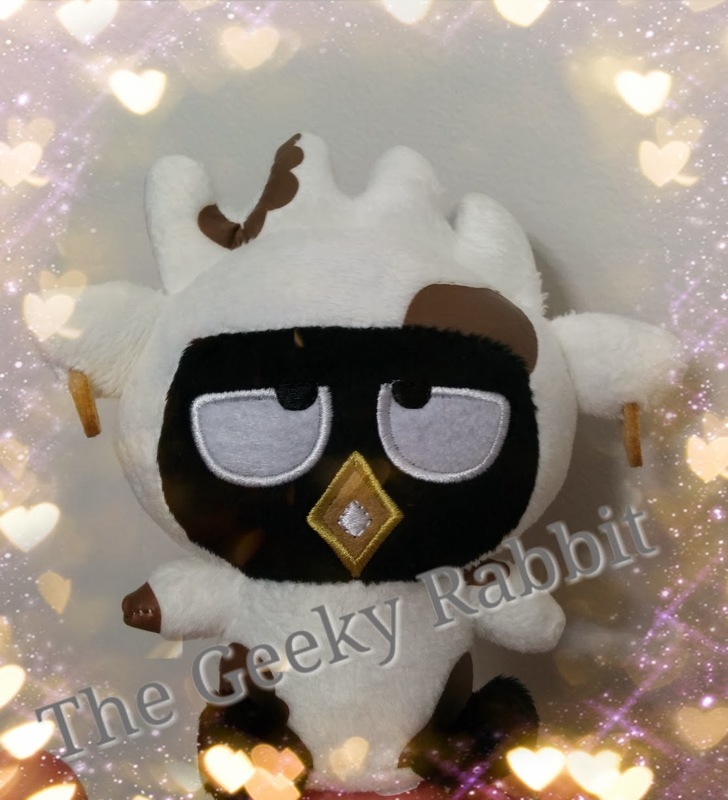 The plushies come in various sizes. There were too many to choose from so I only got a few. Can't really decide which are the ones that I want. I am tempted to get everything! The lanyards are pretty cute too! Comes with a small dangling charm (same as the one that's sold separately). The card in the lanyard is a sticker/decal. That's something new! Overall I love this collection as much as the other collections from previous years. 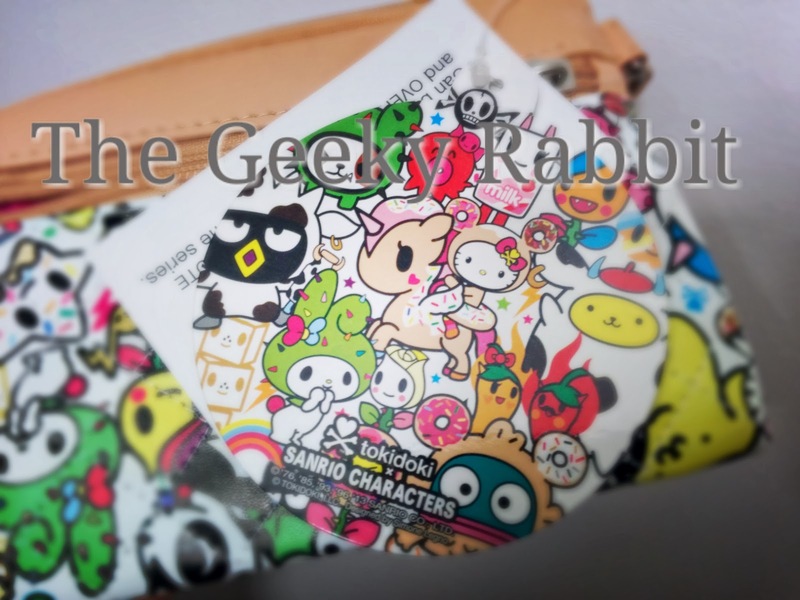 It's a real treat to be able to get all the other Sanrio friends in this as well. The bags are definitely worth a shot- and do look for the print that you like! Make sure it includes the characters that you want. Get them quick as the items really sell out super fast! This is a place where I share my ideas, inspirations and information. I hope to blend fashion with technology. I have a penchant for fashion, and is also a self-professed geek. I enjoy DIY and often customize my accessories and fashion items to fit my lifestyle. I enjoy sports and have an active lifestyle, so I appreciate items with form and functionality. Hopefully some of the ideas and DIYs would prove to be helpful! I am a engineer by training and geek by profession. I adore pearls, crystals, glitter and tweed as much as I love algorithms, problem solving and coding. 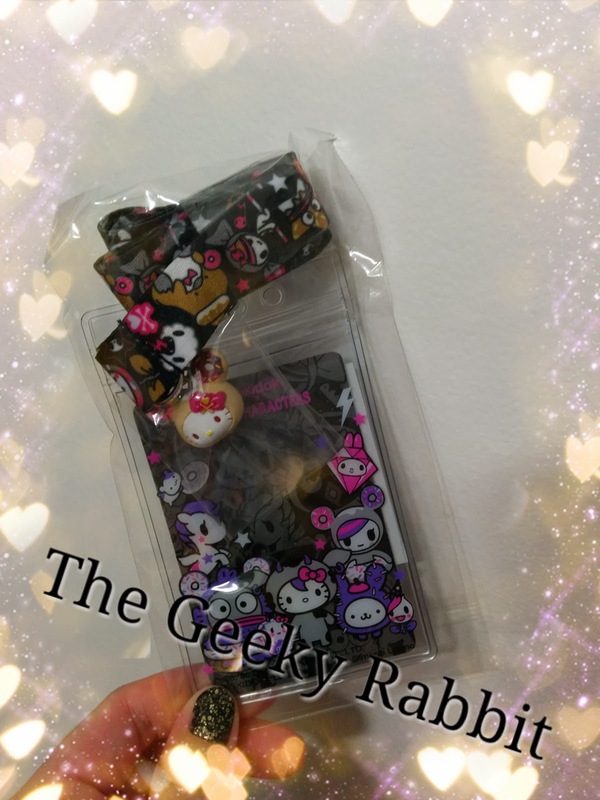 I have a soft spot for Hello Kitty, Tokidoki and other cute stuff! Feel free to contact me by leaving a comment. All comments are screened. If you want to leave a message and do not want the comment to be published, do state that in your comment and I will screen it! Fonts and layout is best viewed in Safari, but is compatible with most internet browsers and mobile platforms. Not completely optimized for versions of Internet Explorer. Design by The Geeky Rabbit. Picture Window theme. Powered by Blogger.